Our economy unit, small but cozy. 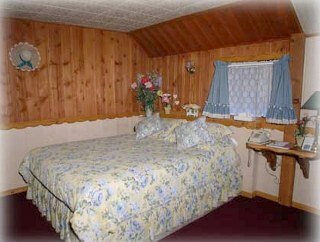 Wood burning fireplace, TV, queen size bed, microwave, compact refrigerator, and in-room coffee maker and hair dryer. "A simple nice cabin with all the amenities. It was 17 degrees outside when we came in from skiing and the room was cozy and warm. We just collapsed on the bed finding it really comfortable. Definately coming back again!!! -- Mark and Jennifer"